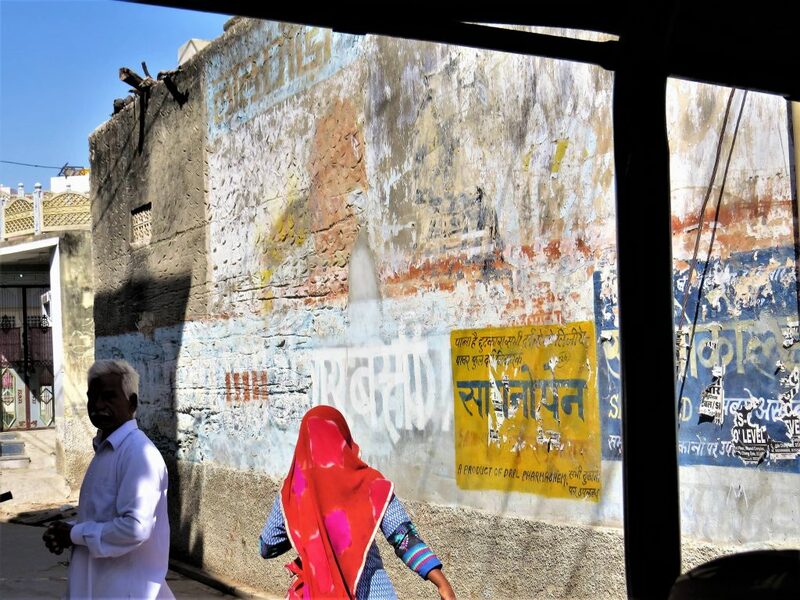 Whilst the splendours of Jaipur, Jodhpur and Udaipur often form the basis of our guest’s tours, we feel that no visit to Rajasthan is complete with slipping off the beaten track for a night or two to experience the region’s villages and smaller towns. Rajasthan has a number of such hidden gems, and one of our favourites has to be Lakshman Sagar. After two hours on the highway from Jodhpur, we steered off on to a bumpy road. 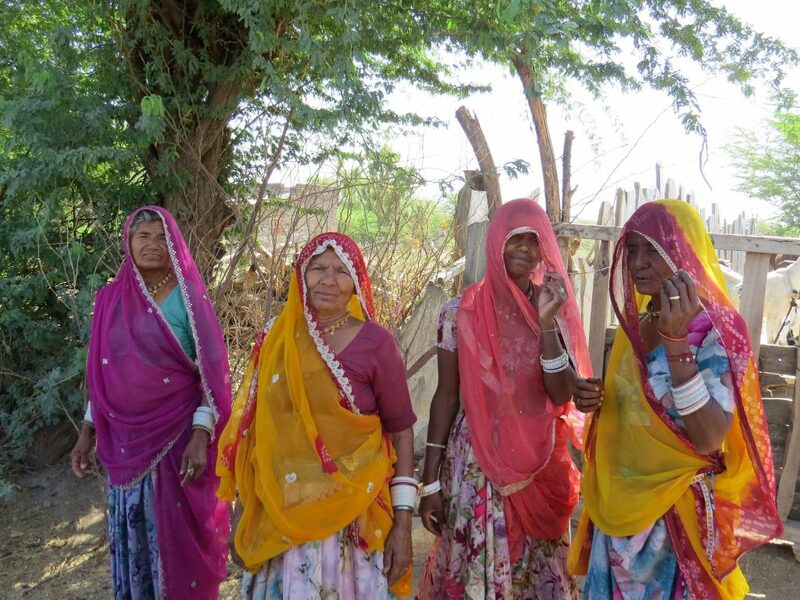 The last leg of our journey to Lakshman Sagar reminded us how wonderfully remote our lodgings really are: passing by quaint villages, colourfully-dressed ladies were carrying water atop of their heads, whilst turbaned elders guided their goats for grazing. 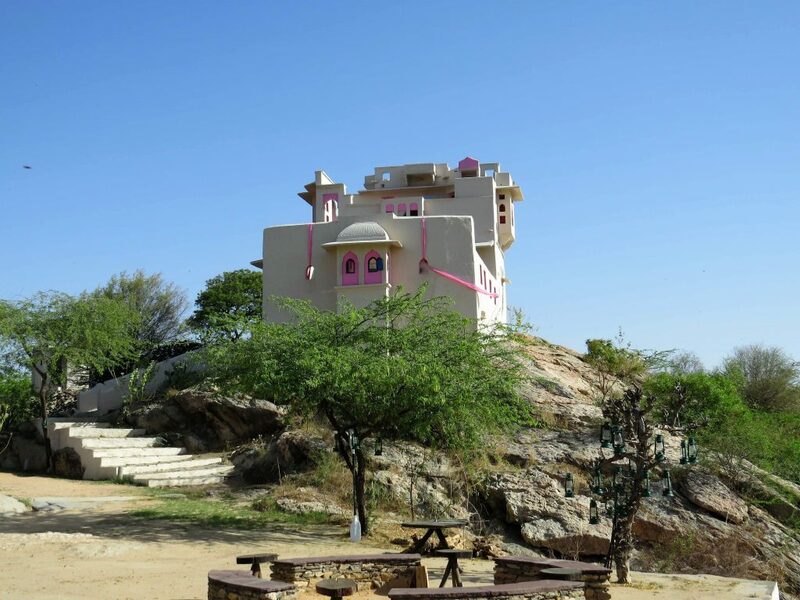 Nestled in the dry, arid Badlands of Rajasthan, Lakshman Sagar dates back to the 19th century, where it was built as a hunting lodge by the then thakur of Raipur, Lakshman Singhji, to entertain and host his noble guests. The property was designed historically around two quarters, the Zenana for the ladies, and the Madana for the gentlemen; today, these serve as restaurants, offering authentic and refined local cuisine. 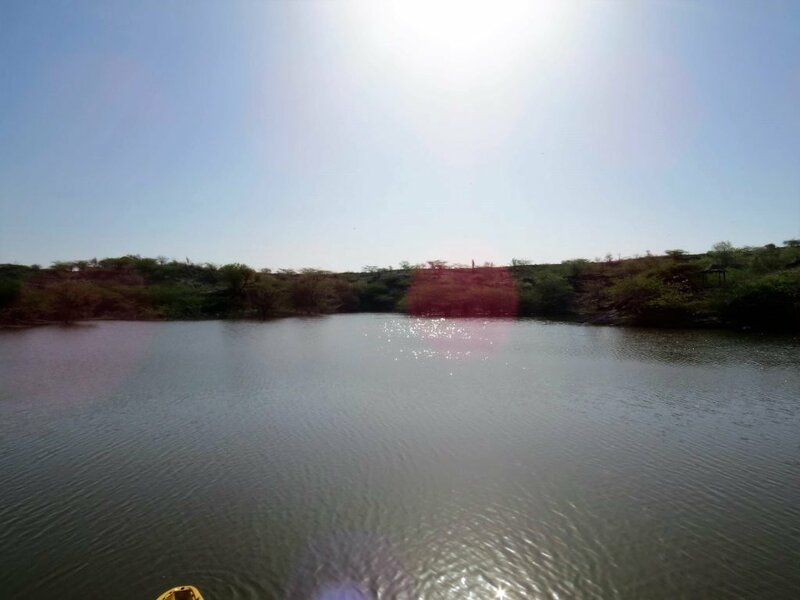 Also accommodated within the vast 32 acres of hilly grounds are 12 incredibly spacious mud cottages, a stunning lake and a unique, crater-like swimming pool carved into a rock. The lake is soothing and beautiful. Guests can take a boat-ride if they wish, or even do a bit of fishing. The cottages are spread around this stunning lake. It was man-made to attract game to Lakshman Singhji’s hunting lodge. Upon arriving at Lakshman Sagar we were greeted with a friendly welcome by the General Manager, Teji, and his team. 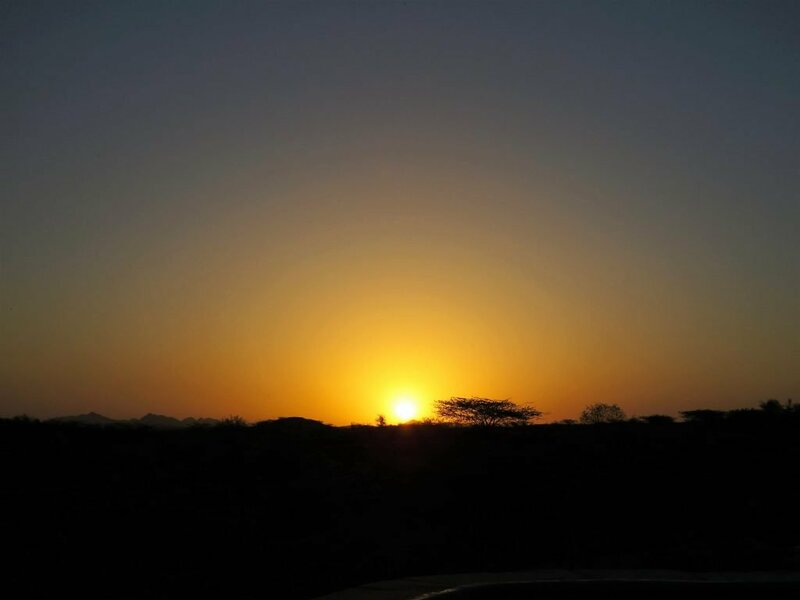 “The sun is setting and we have a beautifully clear sky for star-gazing. 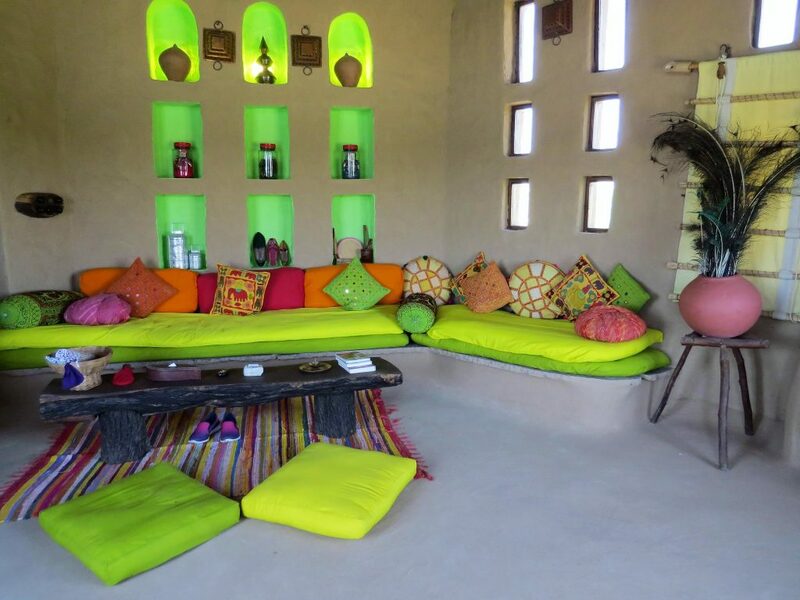 Allow me to show you to your room, and lets have a drink or two under the stars once you’re settled”, suggested Teji. Our cottage is huge, boasting an entry-way, large bedroom with en-suite, and a separate living and dining area. 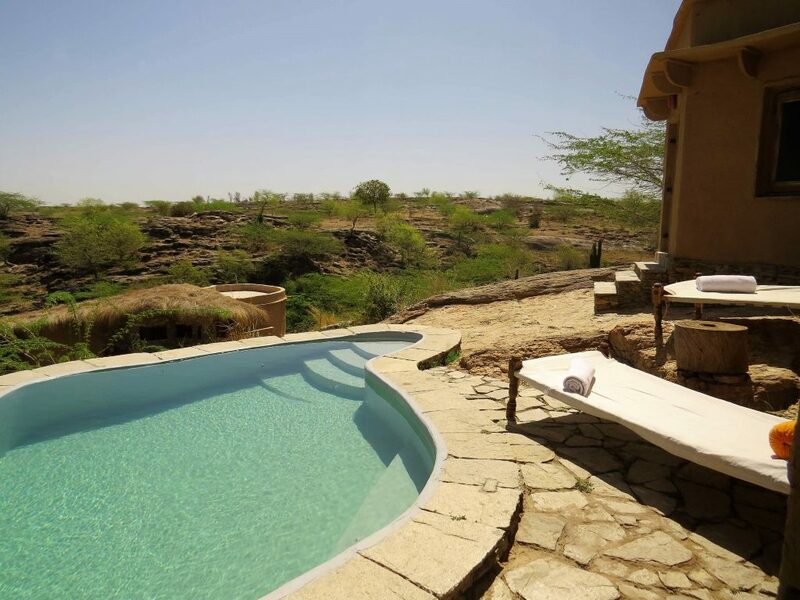 Best of all, each of the 12 cottages come with their own private plunge pool and two beautiful charpoys (traditional Rajasthani daybeds) for relaxing on. 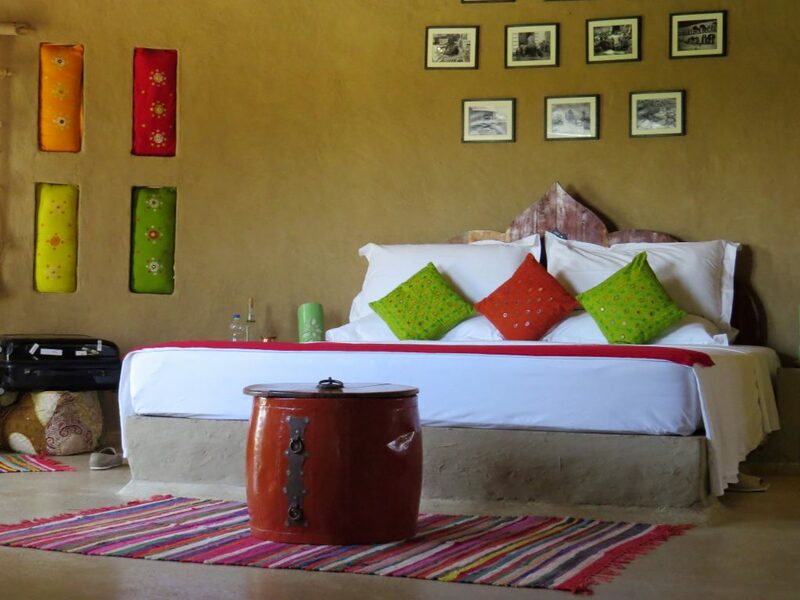 The cottages are delightfully colourful and rustic, with whimsical touches such as an old baby hammock as a laundry hamper and traditional cooking pots adorning the walls. Cheerful and locally-sourced trinkets – including Rajasthani puppets, embroidered leather shoes, and Indian bangles – adorn the walls. Look up in the entryway and you’ll see a collection of brass utensils dangling above you! There’s no television in our room, nor is their Wi-Fi, though we feel that’s perfectly apt for the surroundings. 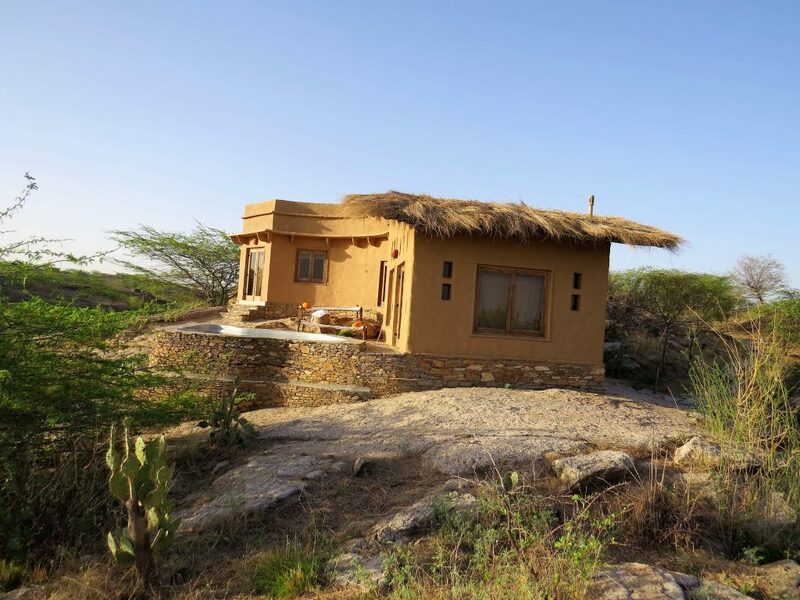 “Lakshman Sagar is designed for getting away from the stresses of normal life, relaxing, and rediscovering simple pleasures. If it’s absolutely urgent, we do have a dongle that we are happy to offer guests in their room”, he adds. That evening, we enjoyed drinks out on the terrace gazing over a stunningly clear sky, with Teji pointing out prominent constellations to us with his binoculars. 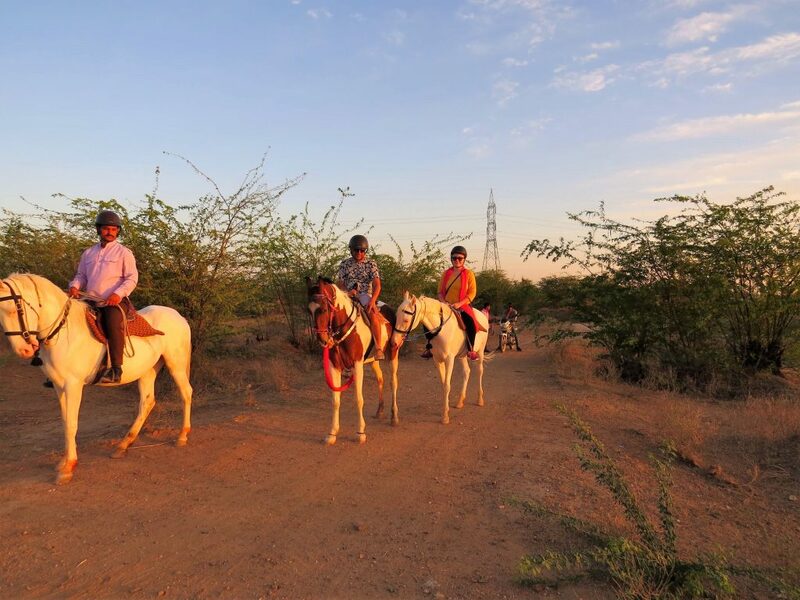 Here, Teji also explained the various activities and experiences available; from goat herding to nature walks, Lakshman Sagar offers a range of unique excursions allowing you to embrace the local way of life. 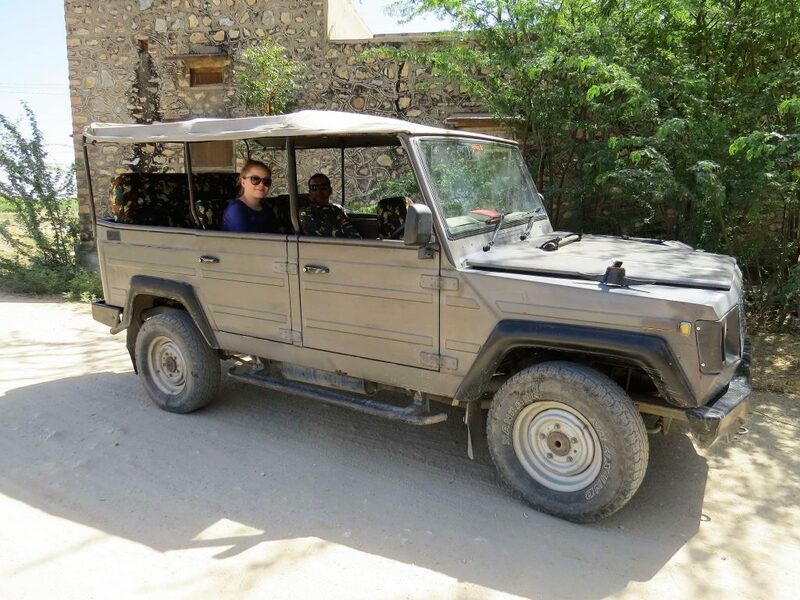 We decided that tomorrow morning we’d be heading out on a Jeep safari with resident naturalist, Dayal. 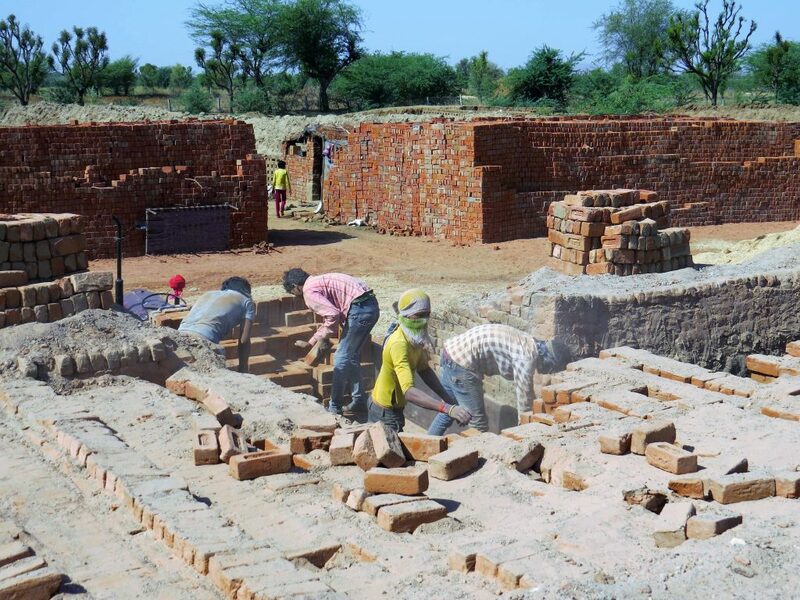 An interesting stop on the village safari was at this brick-making factory. Our guide explained the process from start to finish. Our last stop on our village safari was to Raipur fort, where the present royal family still live today. 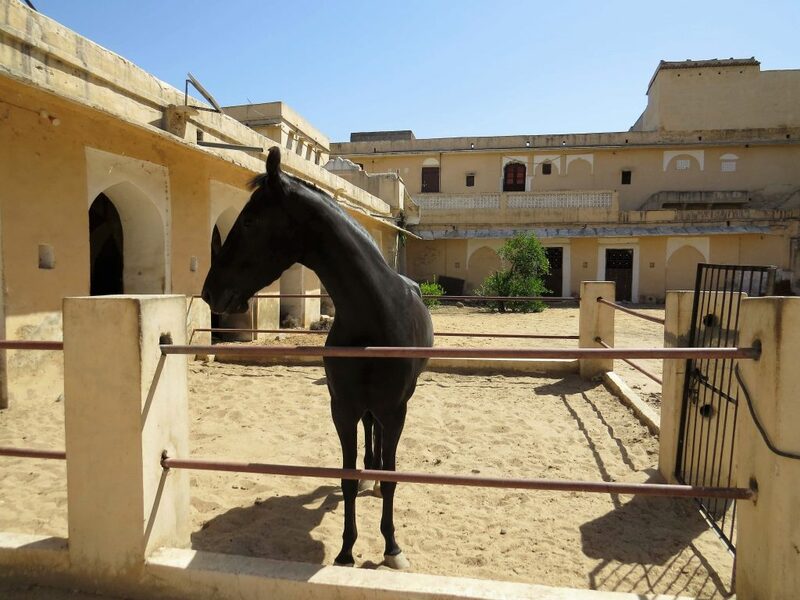 This is one of their Marwari horses. 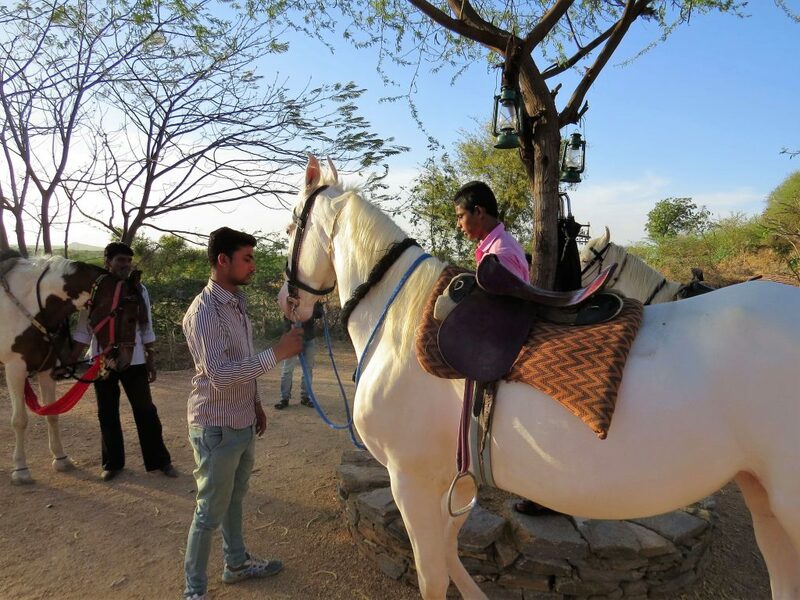 Other activities we embarked on during our stay included horse-riding and a fascinating ‘Breakfast in the Fields’, wherein we were served a delicious Rajasthani breakfast prepared by a local lady at her village. Peacocks casually strut around the property at Lakshman Sagar. 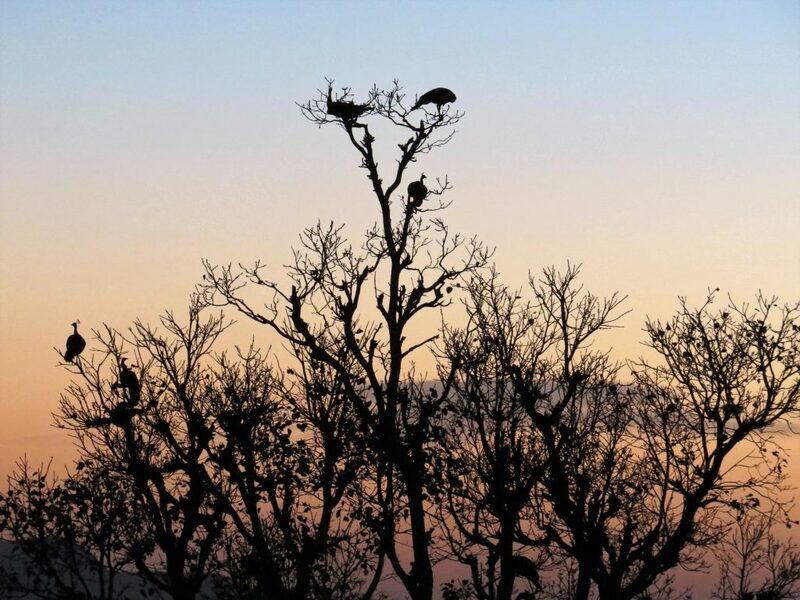 At sunset, they settle in the trees for the night. The chefs at Lakshman Sagar take their food seriously. All the dishes they prepared for us was delicious and locally inspired. A highlight for both of us was the Dal Bati Churma served for lunch: spiced lentil curry (dal) with flaky round breads (bati) and a sweet to follow (churma). Breakfast at a local farm was a highlight of our stay. 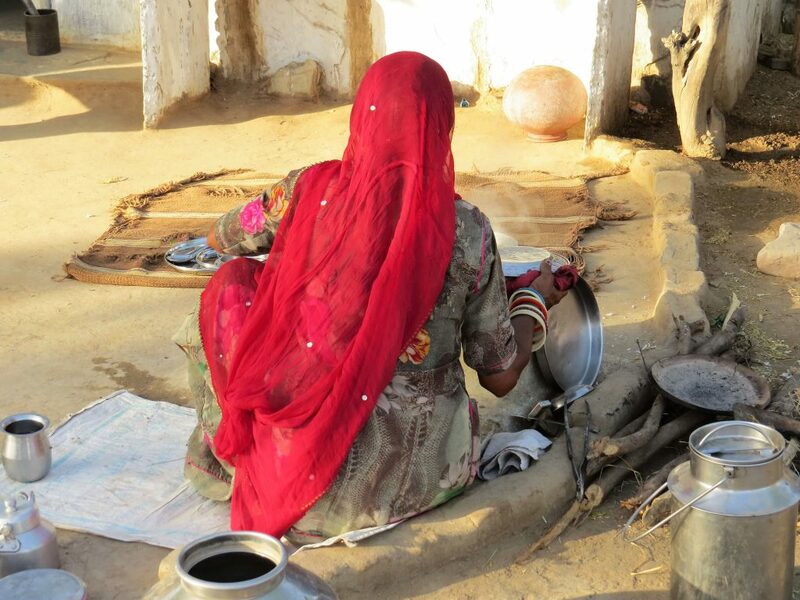 Here, our host is making chappatis. Our host’s daughter teaches us how they prepare fresh butter, by churning yogurt. Harder than it looks! 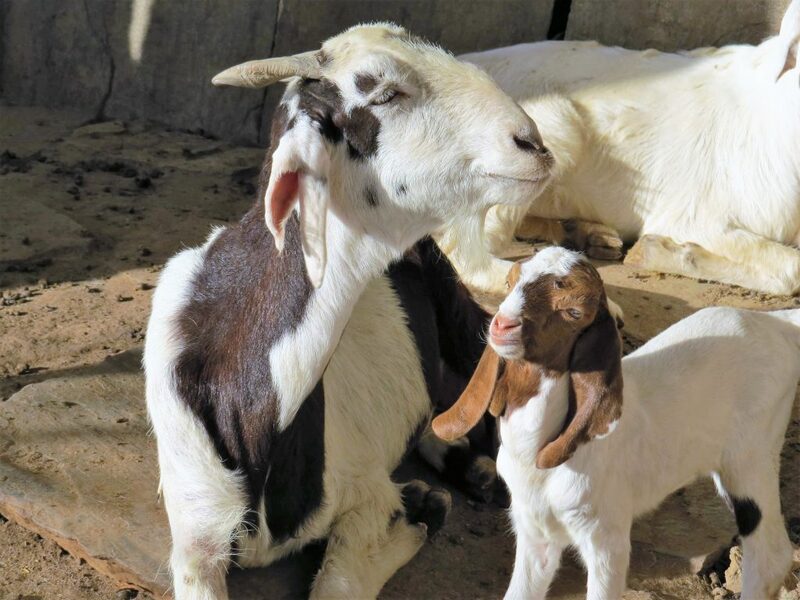 This baby goat, just four days old, lives at the farm where we enjoyed breakfast. 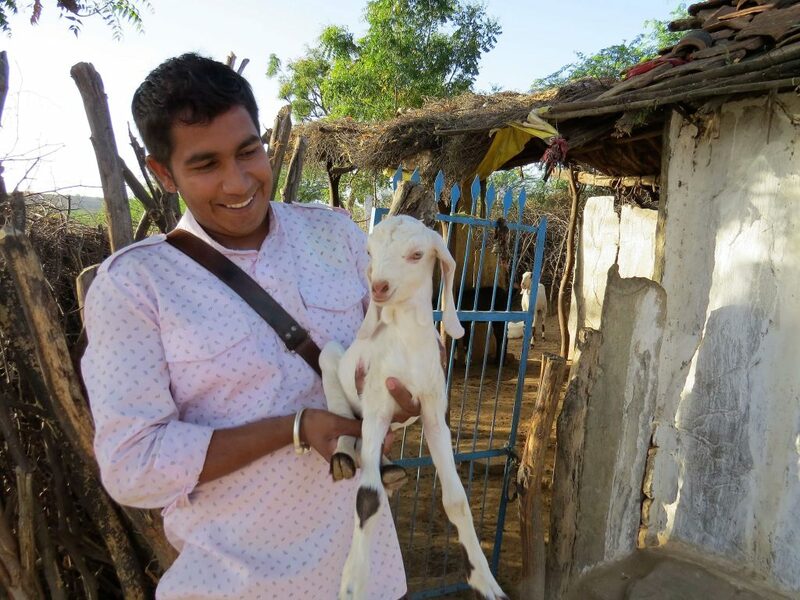 Next to him is our guide, Jay, from Lakshman Sagar. 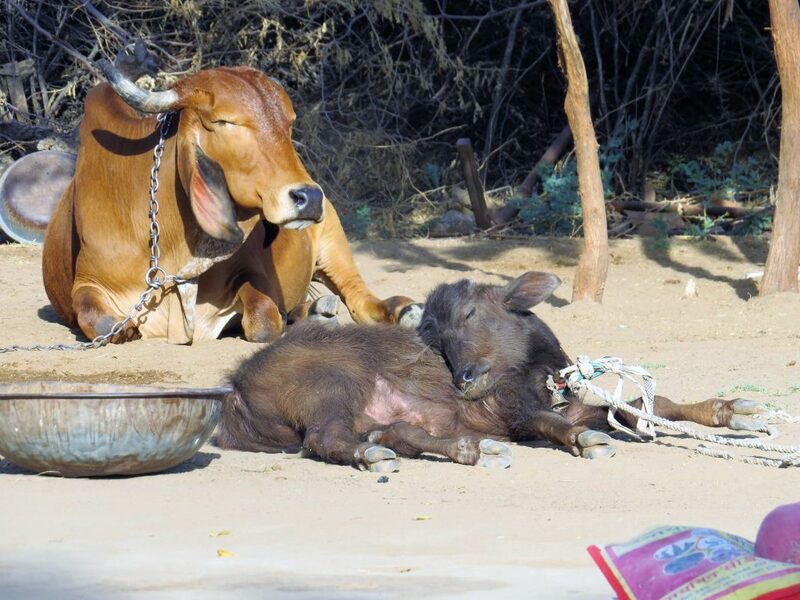 This baby buffalo (four months) and cow slept through our visit to the farm! 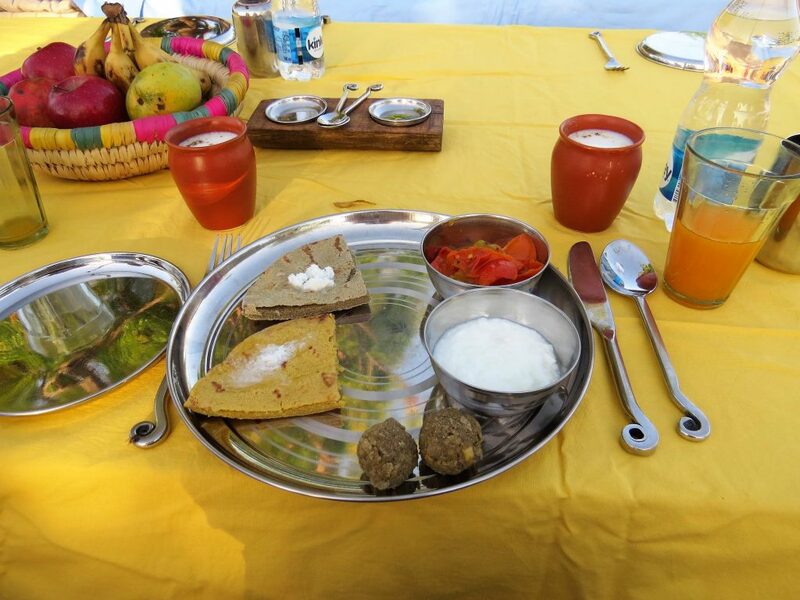 Our authentic Rajasthani breakfast consists of delicious paranthe (thick flatbread), yogurt, and spiced tomato. 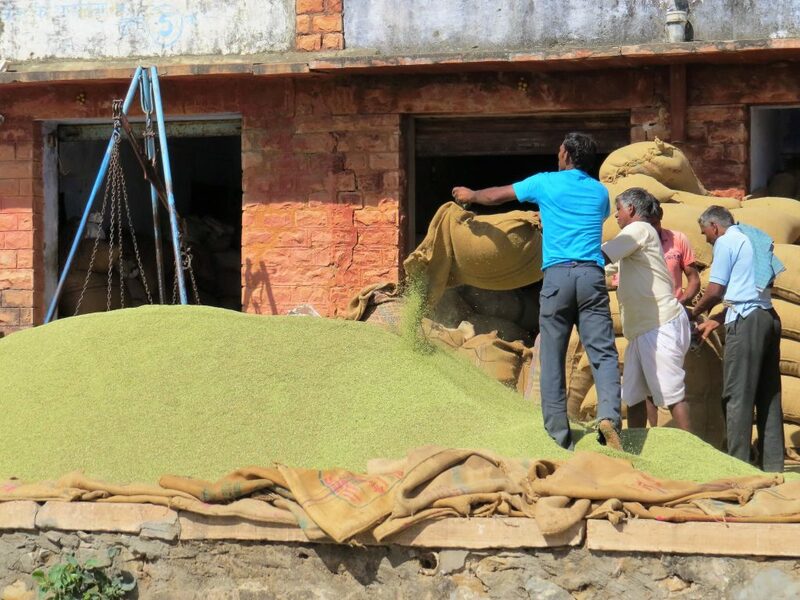 For those who’ve had their fair share of forts, temples and palaces elsewhere in the region, Lakshman Sagar can be a refreshing change of pace, offering a welcoming insight into the traditional way of life in rural Rajasthan. It’s an ideal place to relax and unwind mid-trip. You’ll head to your next destination – be it Jaipur, Udaipur or Jodhpur – soothed, rested and inspired. How does Lakshman Sagar best fit within my Rajasthan tour? 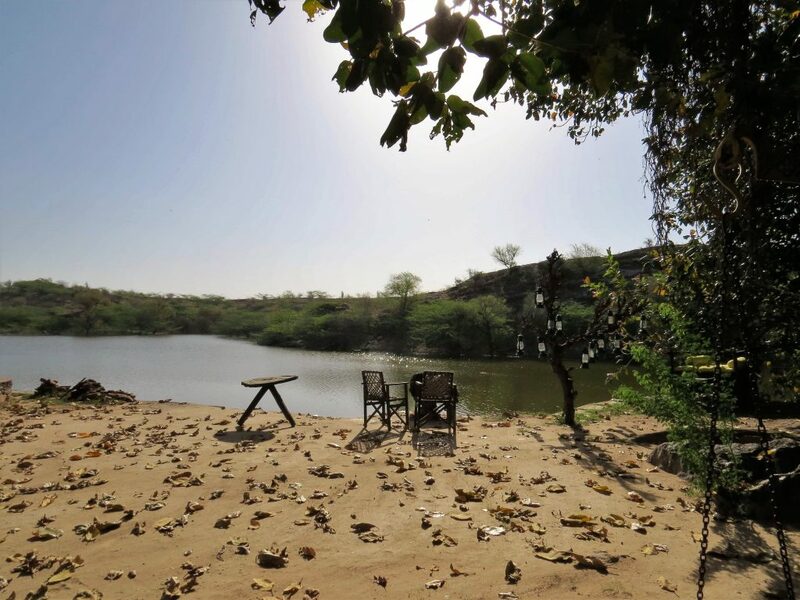 Lakshman Sagar is conveniently located within driving distance of Jaipur (four hours), Jodhpur (two hours) and Udaipur (four hours). 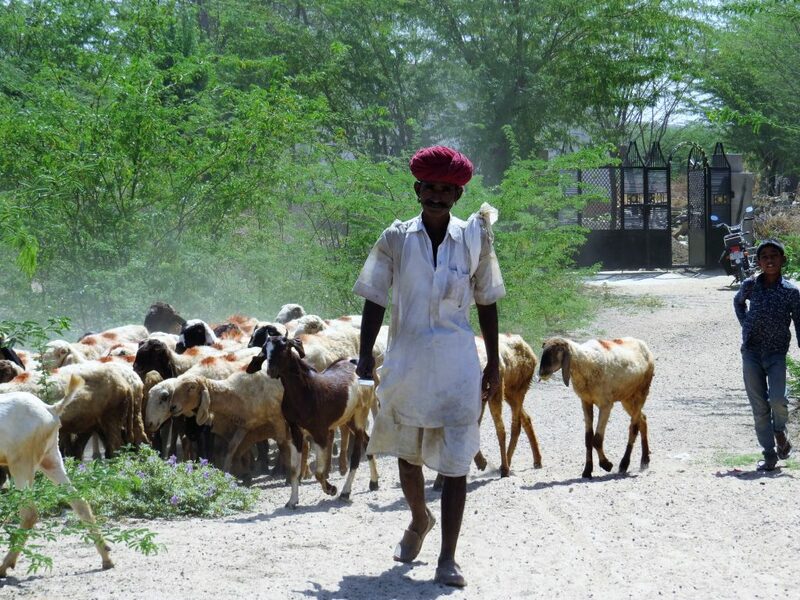 It can also be reached from Pushkar (three hours). Cottages start from approximately $310 per double per night, inclusive of all meals, taxes and a number of activities. The property is best visited from October to March. It’s closed during the hottest months of May, June and July. 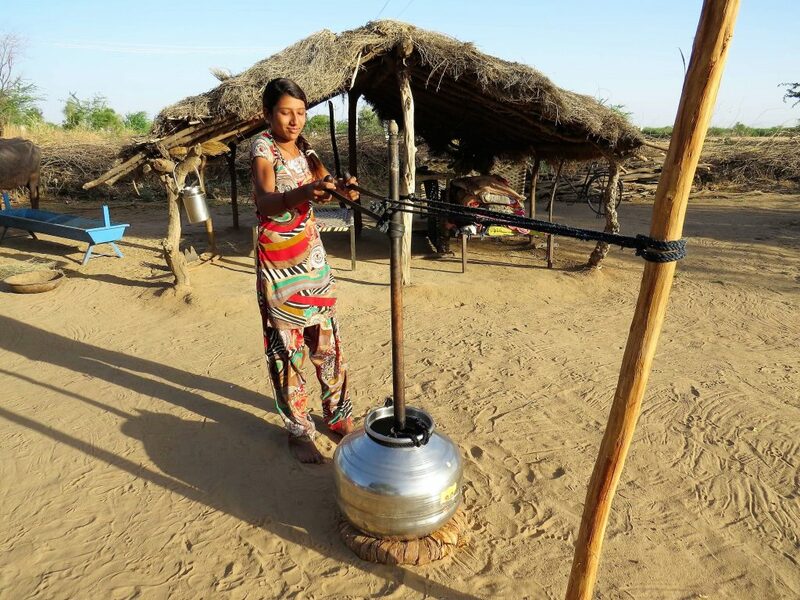 If you’d like to include a stay at Lakshman Sagar on your upcoming trip to Rajasthan, please do get in touch. As the experts in private, tailor-made tours of this region we’d be an ideal match to assist with your arrangements. 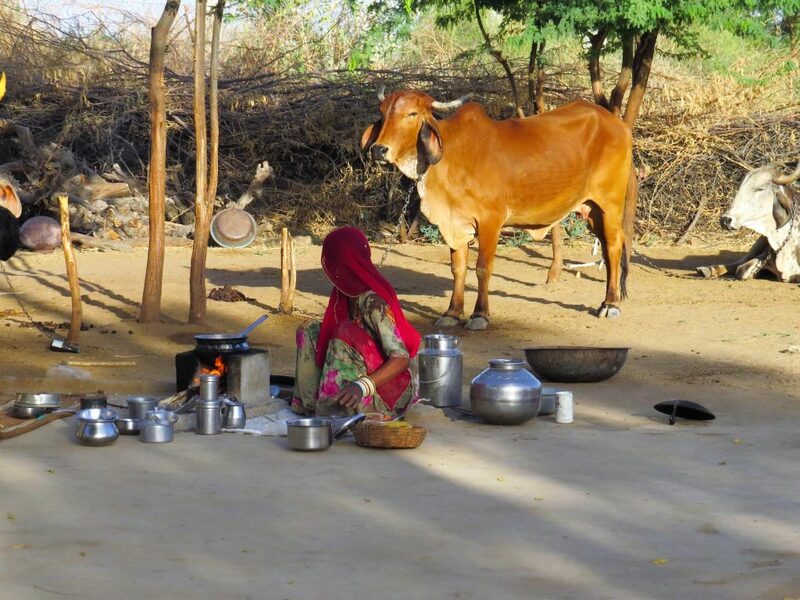 For your inspiration, you may like to begin with our Essence of Rajasthan sample itinerary; or, check out our Favourite Rural Hideaways in Rajasthan for more places like this.